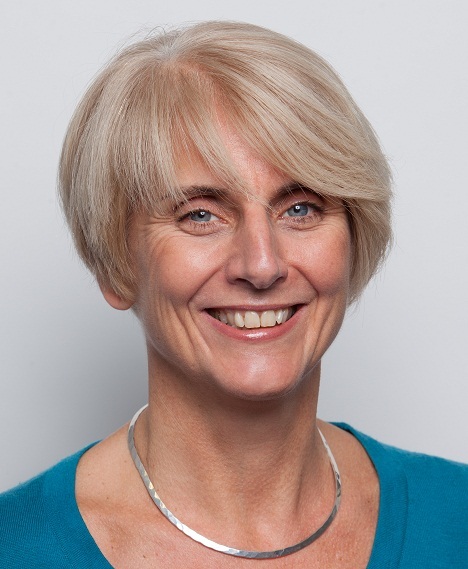 Policy Press Director Alison Shaw has been passionately engaged with the subject of inequality for many years, trying to puzzle out the causes and what can be done to resolve the situation. This month she is pleased to be launching two books that she believes add to the debate in an engaging, accessible, rigorously researched way. “As a young person, a now distant memory, it seemed perplexing to me why some people had immense wealth and privilege and others had nothing, even within wealthy Western societies never mind globally. This somewhat naive question has led to me to try to understand over the years why this is the case, and more importantly perhaps, what can be done. What happens when you have so little that you can’t feed your children? When you have to borrow money to get through a week but this means you get into further debt the next? When jobs are poorly paid and insecure (if you can find them at all) and when the much heralded welfare safety net has holes in it big enough to regularly fall through because the system can’t keep up with changes in work patterns and so you get no money? What then? Current debates about inequality and ‘austerity’ are brought starkly into focus when faced with the facts. Oxfam for example recently reported that just 85 people own as much wealth as half the world’s population. At the other end of the numbers scale nearly a billion people can barely afford to feed their families globally. Over in the US wealth inequality has risen sharply in recent years, with the share of total income earned by the top 1% of families now exceeding 20% of total household wealth. It was less than 10% in the late 1970s. Closer to home Shelter has highlighted that 90,000 children in Britain will be homeless this Christmas. These figures and this kind of research is of paramount importance to me. It’s what drives me, and our team, to find and publish the very latest work on these issues, books that show that inequality is not inevitable, that inequality is often structural and that we have choices about the policies that are implemented which either lessen or compound inequality, be that within the UK or globally. This month in particular is a big one for Policy Press in terms of publishing two key books that I feel will make a difference to the inequality debate. 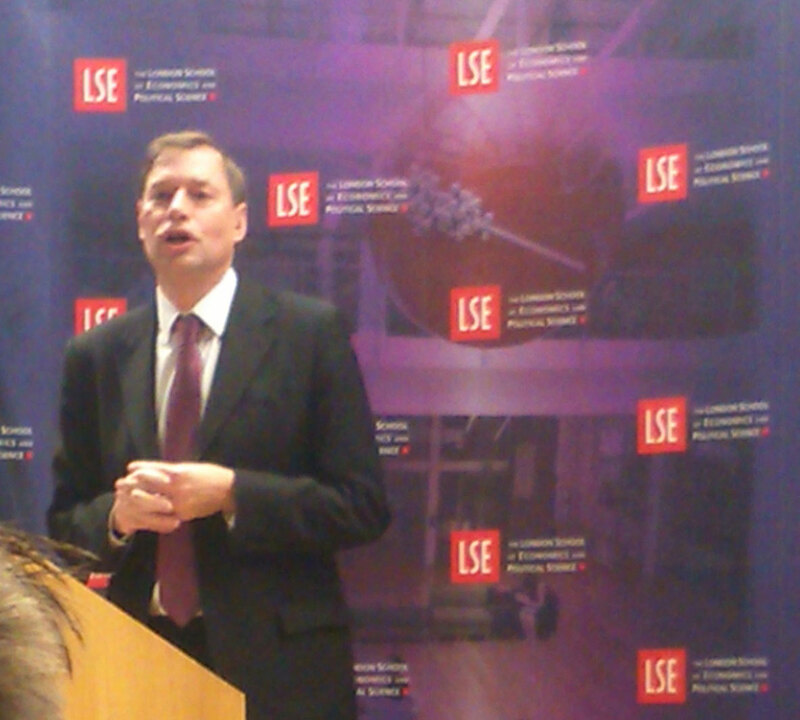 On Wednesday I was delighted to be at the launch of John Hills’ powerful book Good times, bad times: the welfare myth of them and us at the LSE. I feel the central statement of Hills’ book can’t be said loud enough or often enough – that that there is no truth in the ‘strivers’ and ‘skivers’ analogy that we are so familiar with thanks to certain sectors of the media and government. What appealed to me about the book was that Hills’ robustly argues, based on the latest research data, that in fact we all rely on the welfare state throughout our lifetimes and that there is not a ‘welfare-dependent’ minority who are paid for by the rest. Critically he uses hard data to explode myths about welfare dependency and the cost of welfare – such as the public belief that 40% of welfare spending goes on out of work benefits. The real figure is in fact closer to 4%. Next week I’ll be attending the launch of Andrew Sayer’s Why we can’t afford the rich at which Polly Toynbee and Richard Wilkinson will also be speaking. I’m thrilled that we’re publishing Andrew’s book which is an eloquent argument about how the rich are threatening the planet through their fixation on unsustainable growth. 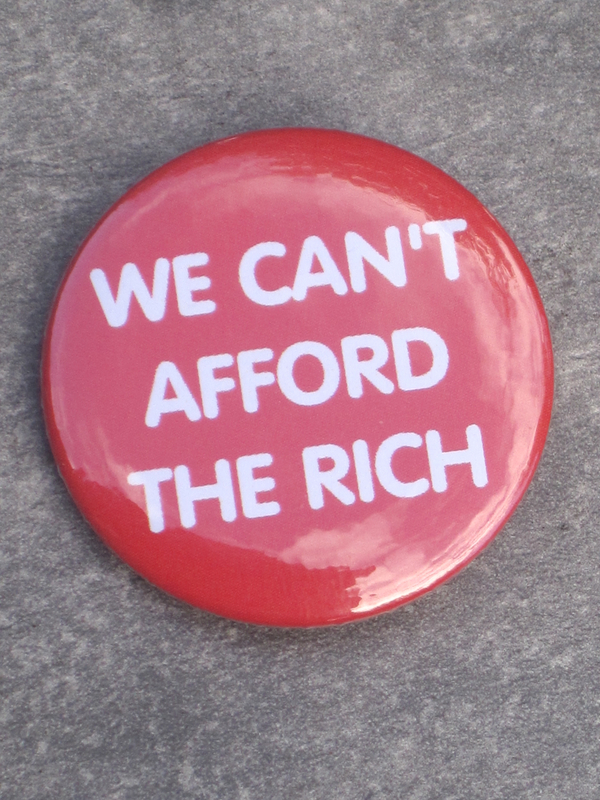 Why we can’t afford the rich exposes how the top 1% are syphoning off wealth produced by the others and far from being wealth creators, the wealthy are extracting it from the rest of us. 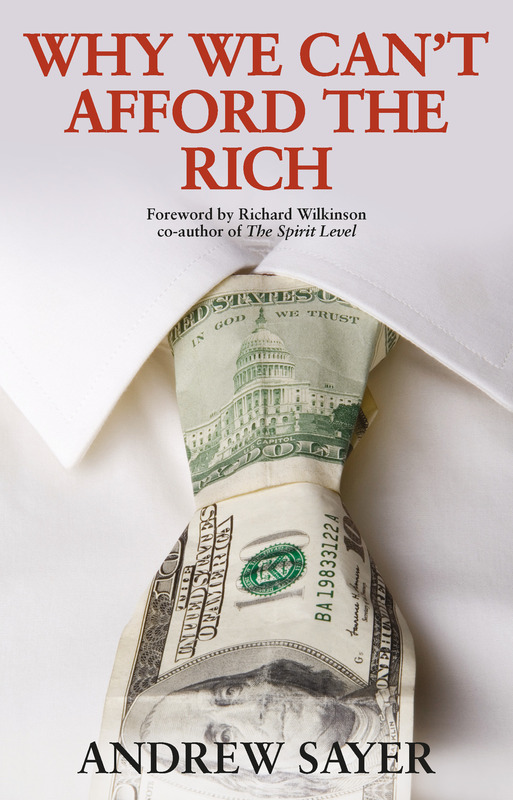 What is important to me is that Andrew clearly and engagingly explains how, and why, the rich have been increasingly able to hide their wealth, create indebtedness and expand their political influence. Crucially he provides solutions too, calling for radical change to make economies sustainable and fair. At the heart of Policy Press is a belief in fairness, equality and social justice. I want our books to make people think and challenge entrenched views, to provide robust evidence and to lead to action and positive change. We have published research on inequality from around the globe but there are a few titles from the UK which I am proud to say have made a big impact: Danny Dorling’s Injustice is a foundational book for those who want to understand why inequality matters; Martin Evans and Lewis Williams remarkable study A generation of change looks at the impact of social policies at different points in our lives by analysing 30 years of British data from 1979-2009 and Karen Rowlingson and Steve Mackie’s Wealth and the wealthy was the first serious book to look at the role of the wealthy in inequality where previously the focus was on the poor. But it is not just about academics providing the evidence. I believe it is vital to hear the voices of those that experience poverty every day and those that try to support them. Mary O’Hara shared her experiences of travelling around the UK hearing what it is like to live on the breadline in the bestselling Austerity Bites and Tracy Shildrick, Rob MacDonald, Colin Webser and Kayleigh Garthwaite delved into the reality of working in precarious low paid jobs, balancing week to week with no or low pay, in the award winning Poverty and Insecurity. 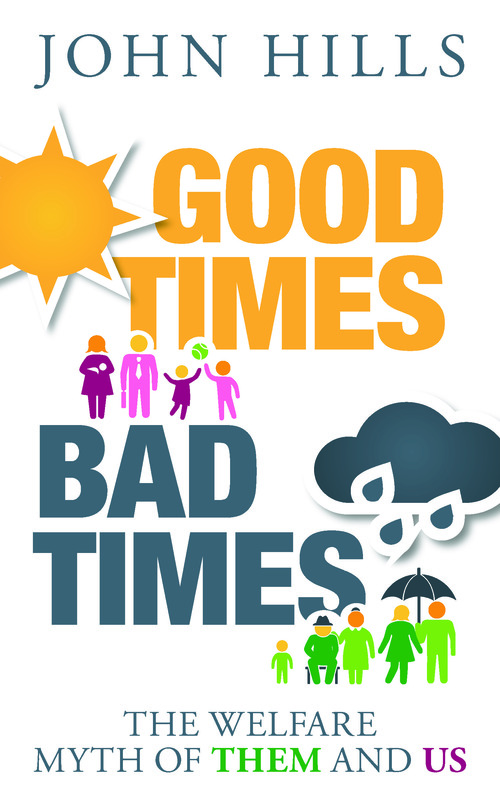 As Polly Toynbee implored at the launch of Good times, bad times, academics need to constantly respond to and challenge the myths that are put forward by the media. Policy Press is here to help them do just that by publishing their robust evidence and thoughtful arguments. If you liked this you may also be interested in reading….